Smell Good Spa: Sniff. Sniff. I Smell A Giveaway! Mmmm, It Smells Good. Sniff. Sniff. I Smell A Giveaway! Mmmm, It Smells Good. I told you that there will be another celebration when the Fan Page reached 500 (508 right now)! Give your first name and email address or Twitter page (all information is needed for you to qualify). Don't let the questions scare you. Use the hints, wording of the question, and the website to help you win! What is Smell Goods Lady's name? 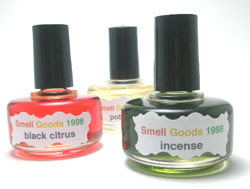 What year was Smell Goods '98™established? What inspired the DECADENCE Chocolate Truffle? How can you save up to $150 in bath & body care (hint: saving is paradise)? In what category can you find products that will enhance the inside, outside beauty of girls? What product is recommended to complement the Mojito Spread? This giveaway is open to those living in the U.S., Canada, and the Caribbean. Celebration ends February 28, 2011 at 9pm, est. Winners will be selected randomly. Winners will be notified via email or Twitter page. 3. A single bite of Trader Joe's Old English Toffee!